I attended last week (as I do every year) the Food and Nutrition Conference and Expo of the Academy of Nutrition and Dietetics, formerly known as the American Dietetic Association, as an active member and Past President of their international affiliate, it can get pretty busy. And this year I was also a presenter , my session focusing on working overseas. The conference took place in Atlanta and needless to say I was looking forward to trying the food. And on top of my list were the biscuits. First of all, I have to say that yes, I did experience what is called southern hospitality, people were polite and customer service was great. Although fried chicken was on plenty of menus, I preferred the shrimp and grits, fried green tomatoes, the greens, and of course, the biscuits. Yes, I am a person who will eat bread when it is in front of me, and yes I will dip it in olive oil or spread butter on it, if that is in front of me too. So, I went back home and wondered: why not make biscuits with olive oil instead of butter and shortening, and add some of those good fats? And so I did. I also used Greek yogurt (strained yogurt) instead of buttermilk and the result was great. I’m sure a southerner may notice the difference, but to most people not really. The texture was as it should be: crisp and golden on the outside, soft and fluffy on the inside. I modified a recipe from chef Alton Brown, using olive oil instead of butter and shortening and a combination of Greek yogurt and milk instead of buttermilk. These would also be interesting with the addition of herbs such as basil, oregano or mint too. Oh and the best part is that these took only 10 minutes to prepare and another 15 minutes to bake. I am certainly making these for Thanksgiving! Preheat oven at 450 degrees Fahrenheit (230 Celsius). In a large bowl mix the flour, baking powder, baking soda and salt. Add the olive oil and rub with your fingers, until the flour mixture is a bit like crumbs. Mix the yogurt and milk in a small bowl. Add to the flour and mix slowly with a spoon until everything is incorporated. If it is too dry, add a bit of milk. The dough will be sticky and soft. Add a bit of flour to your hands and surface and shape dough in a ball. Spread out on a surface, and fold again a couple of times. Pat out so thickness is about 1 inch, cut in 2 to 2 ½ inch (5-6 cm) circles (I used a small glass). Place on a baking pan, one slightly touching the other (according to Alton Brown this helps them rise more). Bake for about 15-20 minutes until golden (mine were done at 15 minutes, so start checking them a bit before). Umm, these aren’t biscuits. I’m sure they’re nice Greek food, but please don’t call them Southern biscuits. One thing people always forget is traditional Southern food is quite healthy. Basically beans and greens. Lots of wild onions and greens. Cornbread. More kinds cof cowpeas and beans than you could dream of. A little lard and meat for flavoring. Seasonal vegetables. My family all live into their nineties and past on this type of cuisine. 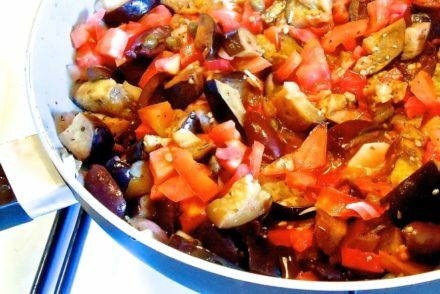 Pretty similar to Greek food with less cheese and no olive oil. It’s why I subscribe to your blog. What’s served at “Southern style” restaurants is Creole (shrimp and grits) and Sunday and holiday dinner food (fried chicken). A whole healthy cuisine is being trashed because special occasion and fast food versions are unhealthy – which is true of most cuisines. So if you’re doing Sunday dinner biscuits, which rely on butter or lard for flakiness, do it right. Just don’t eat Sunday dinner every day. Eat beans and greens. Thank you Jennifer for your input. I agree that there was plenty of the fast food versions of popular southern dishes especially in downtown Atlanta, I did try to avoid that as I mentioned, eating more of the greens (and beans). As for the recipe, I do mention that this is in a “style” of a biscuit, although I would not call it Greek food either. 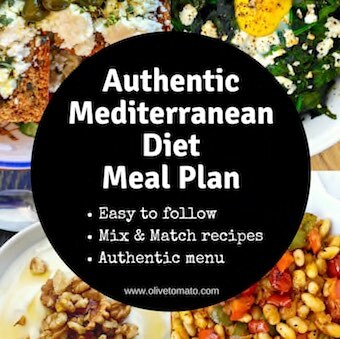 As you probably realize following this blog, it is not only about Greek food, but incorporating components of the mediterranean diet in our cooking habits. 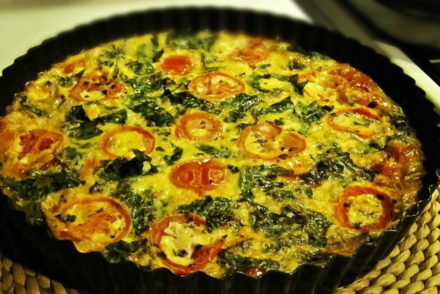 With that in mind, I invite you try the recipe, let me know what you think. I’m curious why you felt that buttermilk needed to be replaced with yogurt and milk? The buttermilk not only provides the tangy flavor but also the tender crumb. I wanted to see, how it would work with ingredients I usually have in my kitchen. The yogurt also provides a tangy flavor. Kind of unnecessary. Just use buttermilk, then. Oops – my previous post was in response to Anne, not you, Elena. Ok, and now I’ve officially posted too many times! I love reading your blog as much for the cultural differences as the recipes (and I love the recipes). In Australia a biscuit is what the US call a cookie. And what you have made looks very like what we call a scone which is often eaten here with jam (jelly) and cream or just butter with a cup of tea. Will definitely give these a go. Thank you. Thanks Cheryl! They look like scones, but they are not dense like scones. I’m eager to try this recipe and have all these ingredients handy as staples. 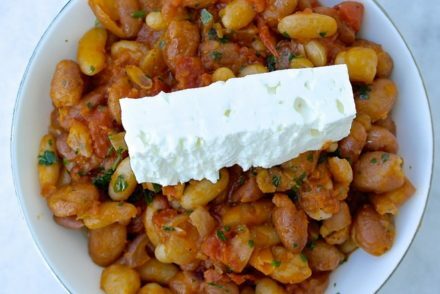 Because I am Greek, this recipe is actually more convenient for me. I agree with you, Elena, that the yogurt would provide the same yummy tangy flavor as buttermilk—plus it has beneficial probiotics, I assume? I keep milk on hand only for soups that call for cream. I am curious about Olive Oil (yellow label) vs. Extra Virgin Oil…I have made up all sorts of new pastry/biscuit recipes using olive oil instead of butter, lard, etc. For pie crusts with a fruit filling, I have found the yellow label (non extra virgin) works well as it has less flavor. I know it isn’t AS healthy, but is it bad or cause for any other sort of health concern? Hi Marcia, I would not say it is a cause of concern, as you only use it occasionally. Generally you will not be getting the antioxidants though. I must admit, I decided to make these after realizing I didn’t have enough butter to make the ‘classic’, buttery, Southern-style biscuits for our chili, and I am glad that that was the case. They are the bomb. Used a bit more oil and a bit less milk (love the taste of olive oil-based baked goods!) and they were flaky and fragrant and fabulous. Might try adding a bit of feta next time for a truly Greek experience! These are great! I have a brand-new, very limited pantry but had a craving for some good, flaky biscuits. This recipe worked with everything I usually cook with, no special trips. I used plain yoghurt instead of the greek and milk, and only had ml measuring cups, was glad to find the recipe was really forgiving. Thanks! I have wanted to try this recipe so today I am going too. I will have to use almond milk as I do not drink regular milk. If I make them and they turn out well, Then I will post again. Oh, hallelujah! 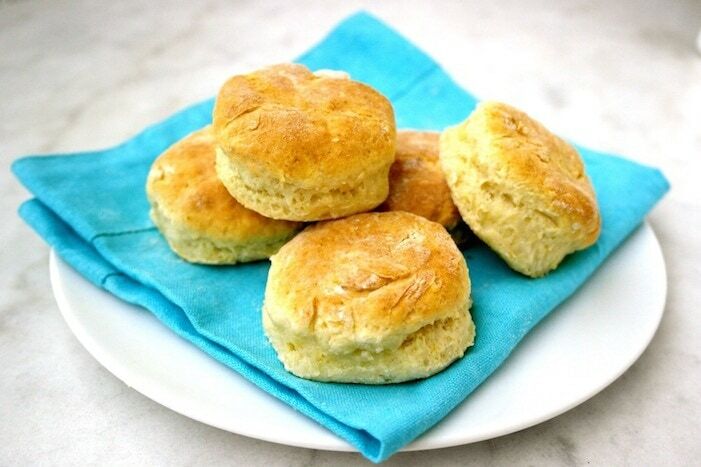 Very tasty biscuit and so easy. Be careful not to over-work the dough, and you will have a tender biscuit with a nice crisp crust. You can taste the olive oil very slightly – which I think is nice. Wooohooo for making these biscuits in 2018!!!!! They are so good! Going to make them for my husband that has a lot of food sensitivities due to his disability. All the ingredients listed are ok for his sensitive gut. Thanks so much for this recipe, it is now a staple in my kitchen. Thanks Steena! Great to hear that the whole family can enjoy them! I am vegan so I tried this recipe using coconut cream instead of yogurt and almond milk instead of milk and it was beyond heavenly! Thank you!!! Great, glad it worked well with the substitutions!